Even if you love the city that you live in now, you may want to consider moving abroad. There are so many great international cities that are beautiful — and actually affordable. Note: Cost comparisons were found at Numbeo.com and Internet speeds are from InternetSociety.org. 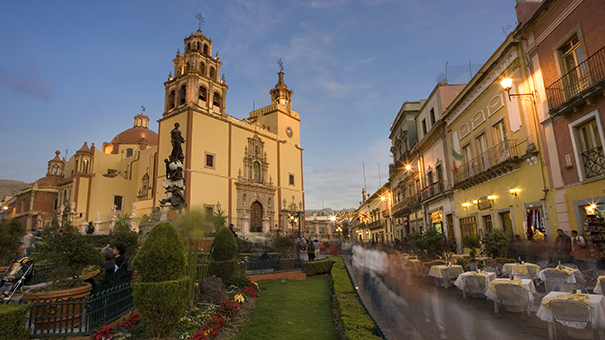 Possibly the most romantic historical town on Earth, Guanajuato really has it all. Excellent cafes, beautiful parks and plazas, a buzzing and young nightlife, and a captivating history that can be seen and felt on countless cobblestone streets. Most people who plan to visit Guanajuato for a day end up staying a week, and those who plan to stay for a week, end up buying an apartment and staying for a lifetime. Such is the undeniable pull that this colonial town has on first-time visitors. You can find apartments here for under $400/month, a meal in a restaurant will cost you around $8 and you can eat delicious gorditas and sopes on the street for around $2. There is Wi-Fi in pretty much every restaurant and even in a few of the city parks, plus there are some good grocery stores, supermarkets, and pharmacies as well as a few quality hospitals nearby. If you get bored of the small old town of Guanajuato, you can venture into some nearby villages like San Miguel de Allende or the city of Guadalajara. A five- hour bus ride (or three-hour drive) will get you to Mexico City where you have excellent flight connections to pretty much anywhere in the world. Perhaps you've never heard of Plovdiv, and you've never considered living in Bulgaria. But once you step foot in the enchanting old town, or walk along the mile-long pedestrian street — the longest in Europe — you'll wonder why nobody has told you about this place. Plovdiv sits at the center of Bulgaria and it is surrounded by beautiful vineyards and a vast, green countryside. A scattering of villages can be found within a 50-mile radius and each one seems to have its own winery. The town itself is under renovation with many "up-and-coming" neighborhoods being revived in time for the city being named the 2019 European Capital of Culture. Kapana (aka "The Trap") is one such neighborhood that has seen a boom in recent years with new shops, restaurants, craft bars, and nightclubs popping up almost every day. A nice apartment in Plovdiv can cost as little as $200 per month, while a meal in a nice restaurant will only set you back around $4. A bottle of wine in a restaurant will not likely cost you more than $6, and a beer will be under $2. The city has excellent and inexpensive shopping, a few good grocery stores, and a reputable hospital nearby. 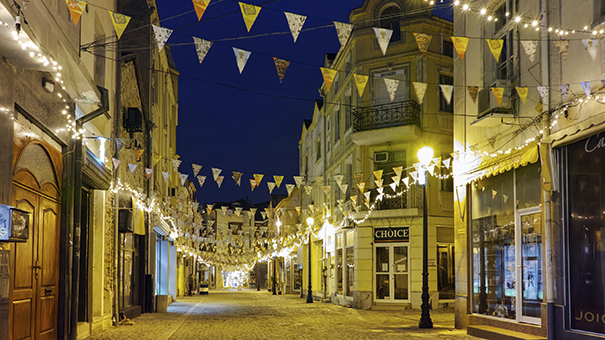 Living in Plovdiv is never dull, with shows and concerts playing in a 1,000-year-old Roman amphitheatre, live music played nightly at many bars, and numerous festivals and events going on throughout the summer. The city is a two-hour drive from the nation's capital of Sofia — where there are flight connections to the rest of Europe and onward to other parts of the world. Imagine renting an apartment with a lake view for less than $200 a month. Lake Ohrid is simply one of the most stunning places to live on Earth, and while summers can be busy with tourists (both local and foreign), somehow this place hasn't been fully discovered yet. 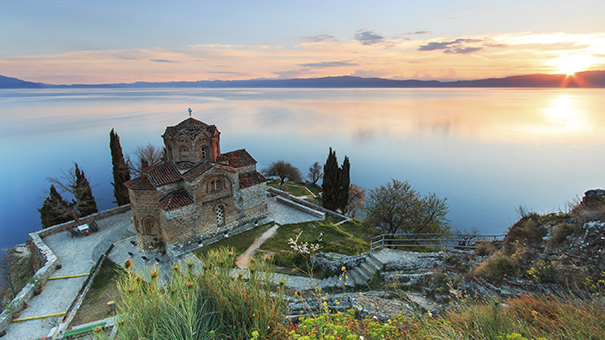 The cost of living in Ohrid (and all of Macedonia) is extremely low when compared to western countries, and the entire country boasts dramatic landscapes, from snowcapped mountains to pristine waterfalls and beautiful forests. Plus there are countless old churches, monasteries, and villages. A meal in a restaurant will rarely cost you more than $8 ($3 at a cheap restaurant), beer will cost you less than $1.50, and a bottle of wine won't cost you more than $12 in a restaurant. Macedonia is such a small country that you can spend a weekend anywhere within it's borders. When the temperature drops below zero for a couple of months in the winter, consider driving two hours north to the stunning Mavrovo National Park and Ski Resort for some great skiing and spa treatments. The capital of Skopje is only a three-hour drive away and has flight connections to parts of Europe, from where you can travel onward to anywhere you wish to go. There are some great shops and restaurants in Skopje, as well as some excellent hospitals. The cost of living in Kuala Lumpur isn't quite as low as the other cities listed above, the Internet isn't as fast, and the population is much higher, but this bustling Asian capital has everything you might need from a life abroad. 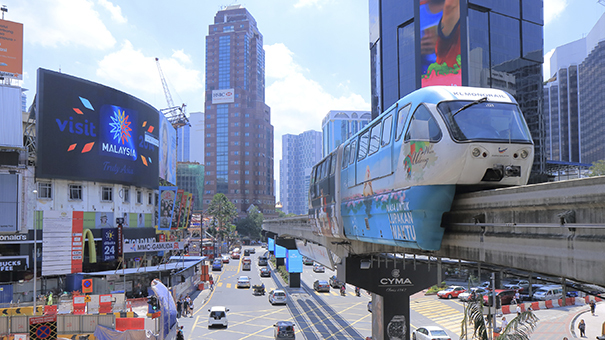 World-class shopping, great hospitals, well-stocked grocery stores, and cheap flight connections to almost anywhere, KL is without a doubt one of the best places for city-loving expats to relocate to. If you tire from the buzz of the city, you can retreat to one of the region's luxurious and pristine beach destinations — which are all just a short (and extremely cheap) flight away. 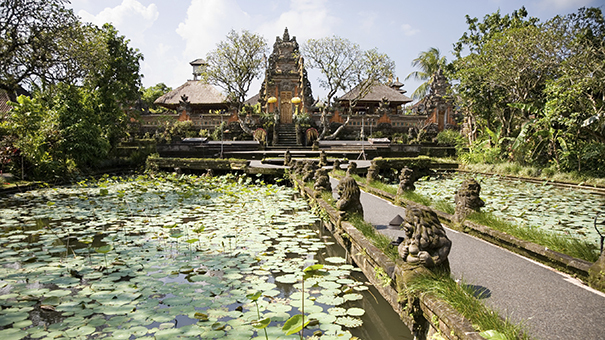 You definitely wouldn't be the first person who decided to pack up their things and move to Ubud, but there's a reason this peaceful, green, yoga and meditation oasis has become so popular. The town is a quiet spiritual hot spot, and yet it has many amenities and comforts that one might look for in a larger city center. There are great restaurants, plenty of biking trails, and loads of accommodation options to choose from. One bedroom apartments usually start at $300 a month and there are a lot of street meals that you can have for under $2. You can drive to the main city of Kuta for any major shopping needs and for flights to elsewhere in Indonesia — from where you can find lots of international flights. If you're seriously considering packing up all of your things and moving to a new city, you should always consider doing a test run. I love these five places and I would (and have) live there in a second. But everyone's different. Book a holiday, and try each one out to decide which one is best for you. If you're looking to live a better life for a fraction of the price, these wonderful cities might just be your answer. 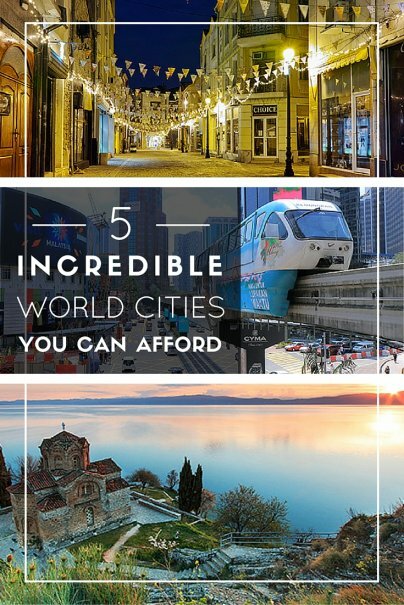 Any other affordable international cities? Share with us in the comments!